The Nicola Valley Health Care Auxiliary is proud to support the Nicola Valley Hospital and Health Centre emergency department expansion and renovation. We have committed to contributing $150,000 towards this project, which will be used to purchase equipment for the expanded ER. We have hosted sales at the Thrift Shop, as well as other fundraising events, to raise funds for this campaign. We appreciate your support in helping us reach our goal. ​contributed $1,021,999.94 to the community. Funds raised by the Nicola Valley Health Care Auxiliary go directly back into the community to purchase much needed equipment and supplies for the Nicola Valley Hospital and Health Centre and Gillis House. The Auxiliary also provides Christmas funds for Gillis House and Ska-lu-la. Additionally, the Auxiliary presents three $2,000 bursaries each year to graduating students from Merritt Secondary School. We thank all of our loyal donors, customers, and hard working volunteers who support us. We are proud to be able to support the Merritt Fire Rescue Department by donating $2,500 to purchase a new automated external defibrillator to replace their discontinued model. It's because of your support at the Thrift Shop that we were able to make this donation. Read the full story in the Merritt Herald. ​Photo Credit: Merritt Herald (Firefighter Darren Kelly and Ashley Corrigan, ​Nicola Valley Health Care Auxiliary President Betty Doberstein, Fire Chief Dave Tomkinson and Firefighter Vaitua Haddou). 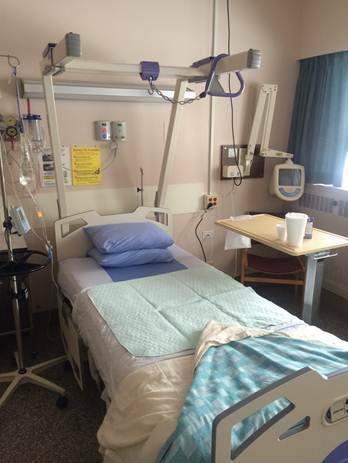 In 2015, the Nicola Valley Health Care Auxiliary purchased this bariatric bed for the Nicola Valley Hospital and Health Centre at a cost of $28,505.87. A bariatric bed provides a wider and longer sleep and resting surface, which allows health care workers to deliver care without compromising the patient's dignity.